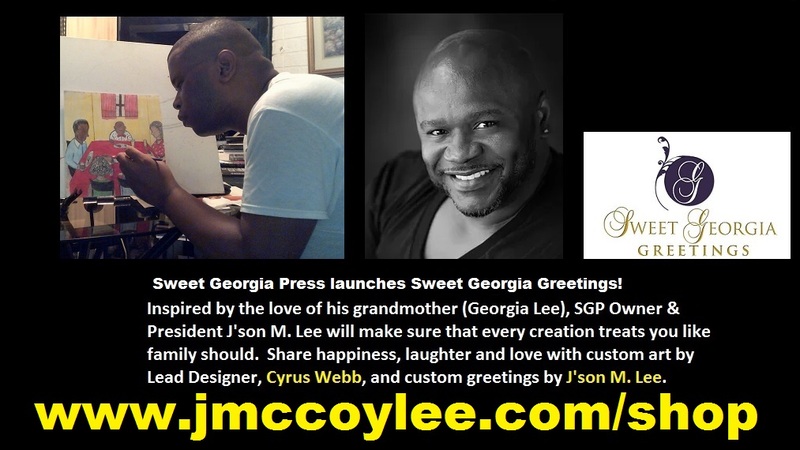 Sweet Georgia Greetings is pleased to announce the launch of its first greeting postcard, featuring artwork by award-winning artist and media personality, Cyrus A. Webb aka C. A. Webb. Founded in 2014 by J’son M. Lee, Sweet Georgia Greetings has as its mission “Loving You Like Family.” Each card is designed with a dual purpose—the perfect greeting, and a lasting keepsake. We hope each recipient will frame their greeting to enjoy for years to come, and serve as a reminder that they were thought of with love. “I’m excited to be working with Sweet Georgia Greetings on this project,” says Webb. He created several pieces of artwork that the company will be using for postcards, greeting cards, and in the future as prints. The line is debuting with a holiday postcard entitled, Sound the Trumpet. Sold in a set of twelve with matching envelopes, the postcard is available for only $25. Price includes shipping. To find out more about the line, and to order the cards for yourself, please visit www.jmccoylee.com/shop. Cyrus Webb can be reached at cawebb4@juno.com or at www.cyruswebb.com.